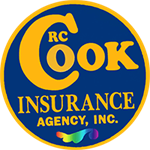 Get your free annuity insurance quote from RC Cook Insurance. Call 330-296-3628 for more information. We're located in Ravenna, OH. Annuities in Ravenna have no maximum contribution limits and offer a variety of growth choices along with options to generate a paycheck each month after you retire. You control when you take income withdrawals.